Anderson Little joined KQV for overnights replacing Bob Wood in April, 1972. Anderson was born in Pittsburgh but also spent time at KUDL in Kansas City and KXLW in St, Louis. Anderson passed away on June 4, 2006 at his Pittsburgh home. In addition to KQV, Anderson also worked at WAMO-FM, WAMO-AM and WQED-TV. 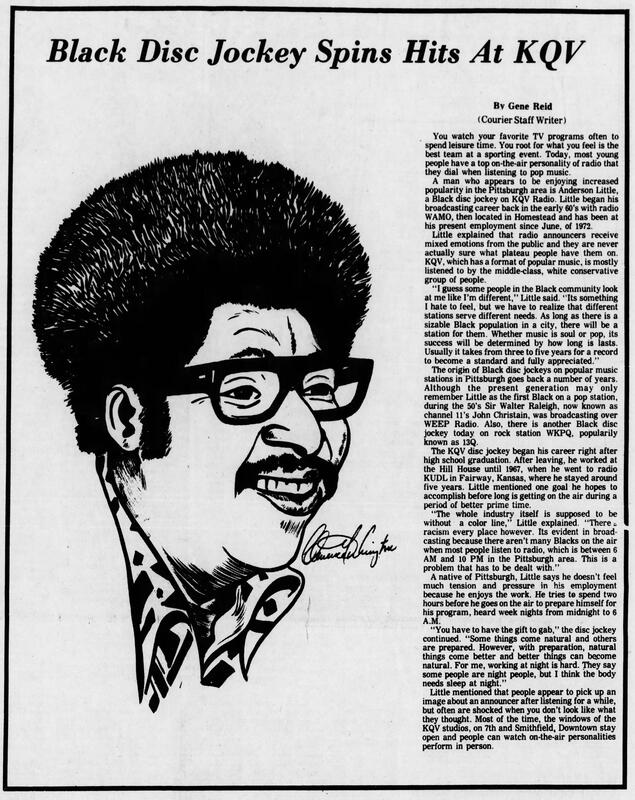 This article appeared in the Pittsburgh Courier on February 9, 1974.